You’ll have to pardon Max Lee if he mixes in a little Rachmaninoff with crowd favorites from the “Frozen” soundtrack. 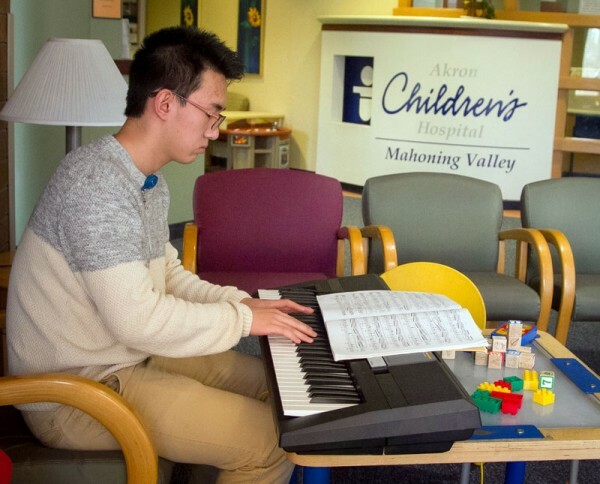 The Canfield High School junior wants to both entertain and inspire the Akron Children’s patients he encounters as part of a new volunteer initiative he helped establish. Max, a participant in the hospital’s Teen Outreach program, plays keyboard in the outpatient registration waiting room on our Beeghly campus for an hour each week. Any patient would be lucky to have a moment to interact with Max. 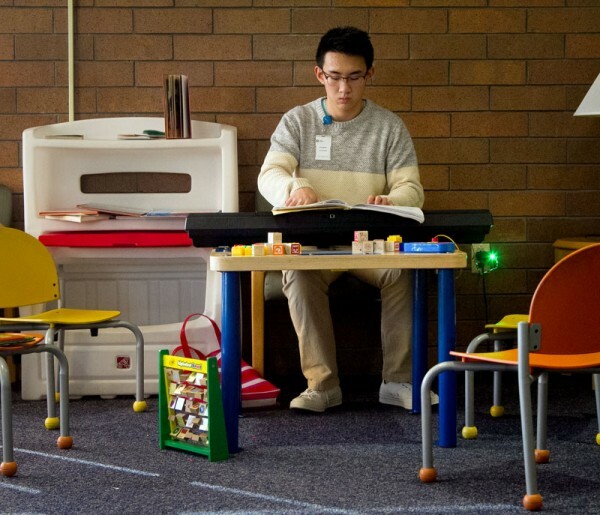 The former Scripps National Spelling Bee qualifier is active in varsity sports, speech and debate, piano competitions, Mathcounts, and he volunteers at a nursing home and at Angels for Animals. Oh, and he aspires to go to medical school one day. “Max approached us with this idea, and essentially pioneered a new way to connect with our patients through music,” said Francine McBride, program education coordinator for Akron Children’s Hospital Mahoning Valley. McBride coordinates the hospital’s Teen Outreach program, which involves community service opportunities and monthly meetings that include leadership development and learning about careers in the medical field. High school juniors and seniors who participate are chosen by their respective schools. Teen volunteers have held “Reach Out and Read” book drives at their school, created and donated fleece blankets for the patients, or carved new paths like Max. “As a child I came to the hospital quite a bit as a patient for some allergy issues, and one thing I noticed was there were plenty of things to occupy younger kids, like books, toys and televisions, but not as much for the older children,” Max said. 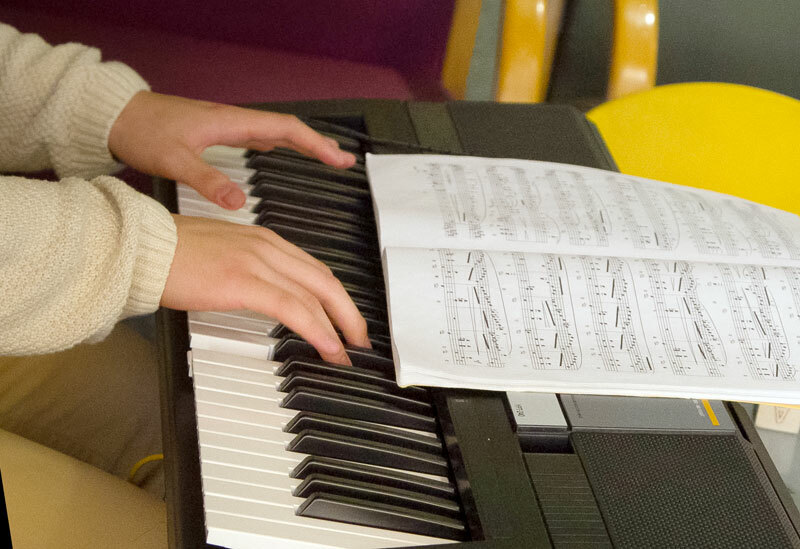 “I always thought about bringing music to them.